Our Concordant Literal New Testament text on screen while being read in a digital voice. 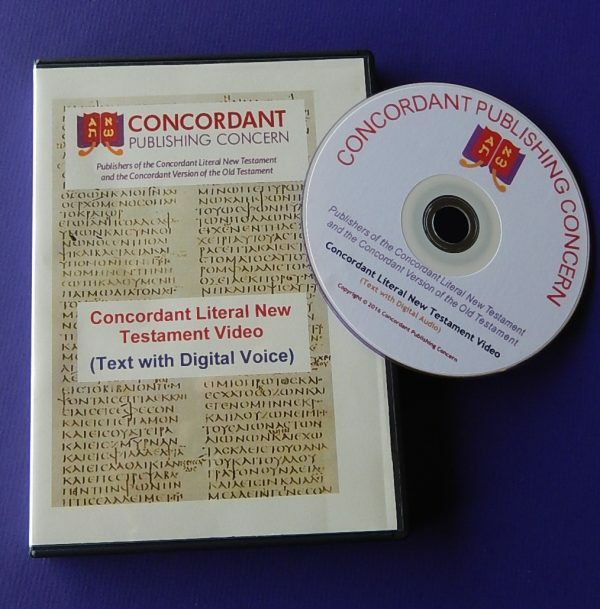 This DVD contains our Concordant Literal New Testament being read in a digital voice. There is text on your screen with each word highlighted as it is being read. This content is available on our website for free if you wish to view it online. We have made this DVD for those wanting a physical digital copy. Although the media utilized is a DVD-R DL, the files are Mp4. Therefore a “region” is not applicable. This DVD should play on a PC capable of playing DVD-R DL discs. Some DVD players may also be capable of playing it, but it is best to check compatibility before ordering.